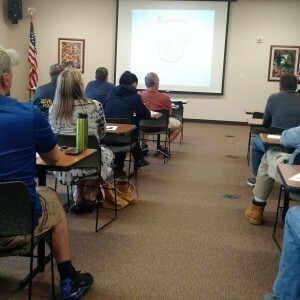 Self-paced, computer-based pedestrian and bicycle safety training (instructions for accessing the CD-Rom training are here). 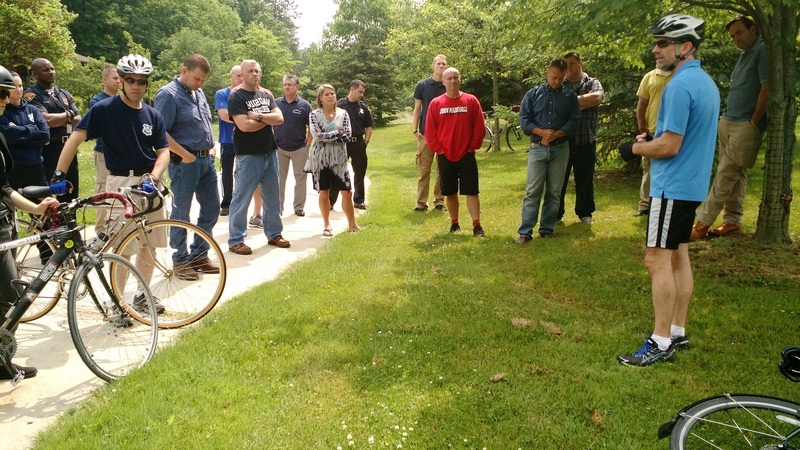 These resources are part of a continuum of training, leading up to a series of in-person seminars meant to enhance the skills of law enforcement professionals in relation to laws to help prevent bicyclist and pedestrian injuries and fatalities. Below are the training opportunities taking place in 2018. 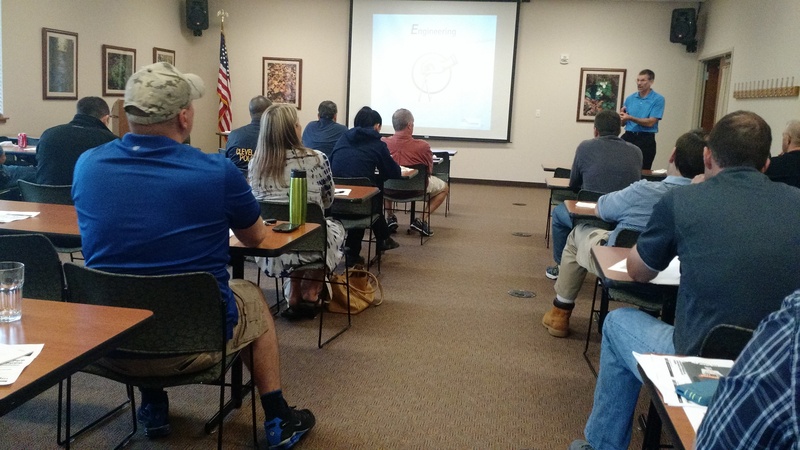 Two-day Enforcement for Pedestrian & Bicyclist Safety seminar. 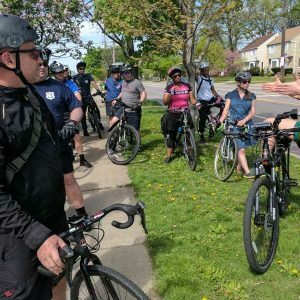 Cost: FREE, instructor and materials paid for by Bike Cleveland. Deadline: Registration required. 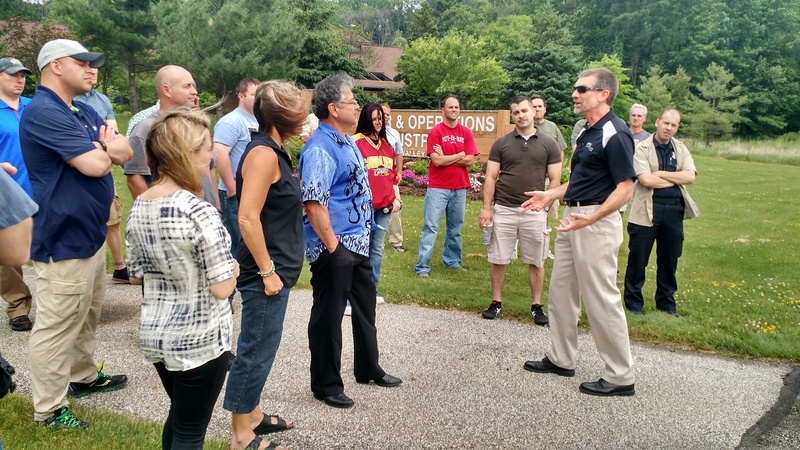 Space is limited so register early. 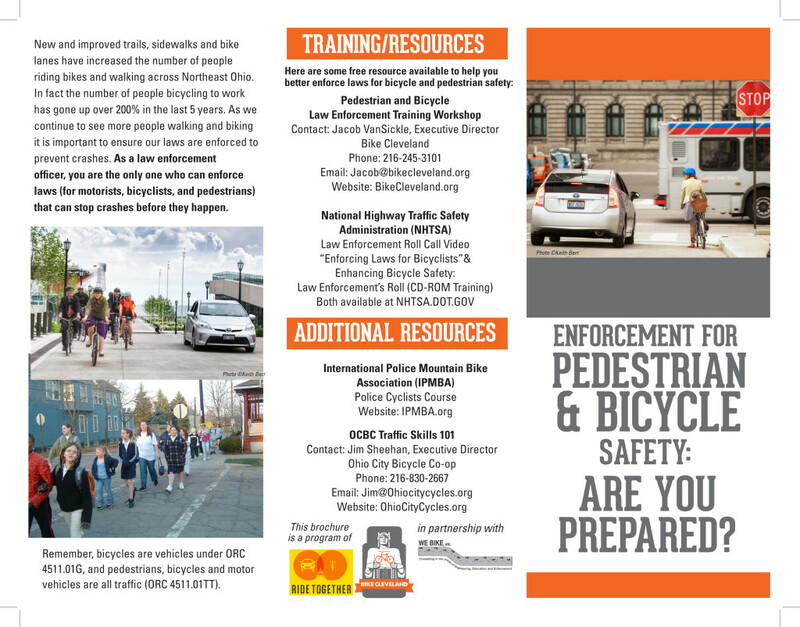 Enforcement for Pedestrian & Bicycle Safety: Are You Prepared? is a handy brochure designed for police officers to read and keep. It provides a quick and easy reference to the pertinent pedestrian, bicycle and motorist laws affecting pedestrian and bicyclist safety. If you are participating law enforcement, please print, copy and distribute this brochure to all of your officers. Click to download and print full brochure. Click to print and download full brochure. 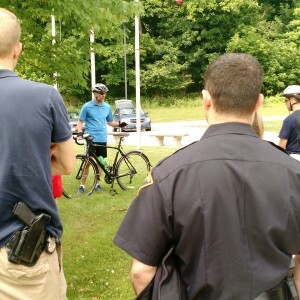 The following videos are provided by the National Highway Traffic Safety Administration and provide a brief overview for effectively enforcing laws to maximize bicycle and pedestrian safety. They are meant to be shared during police roll-call. 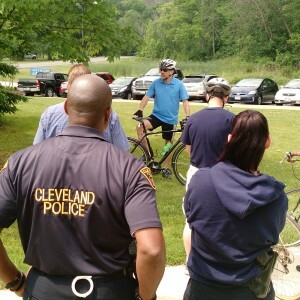 You can download the Enforcing Laws for Bicyclists video here for use in your department. 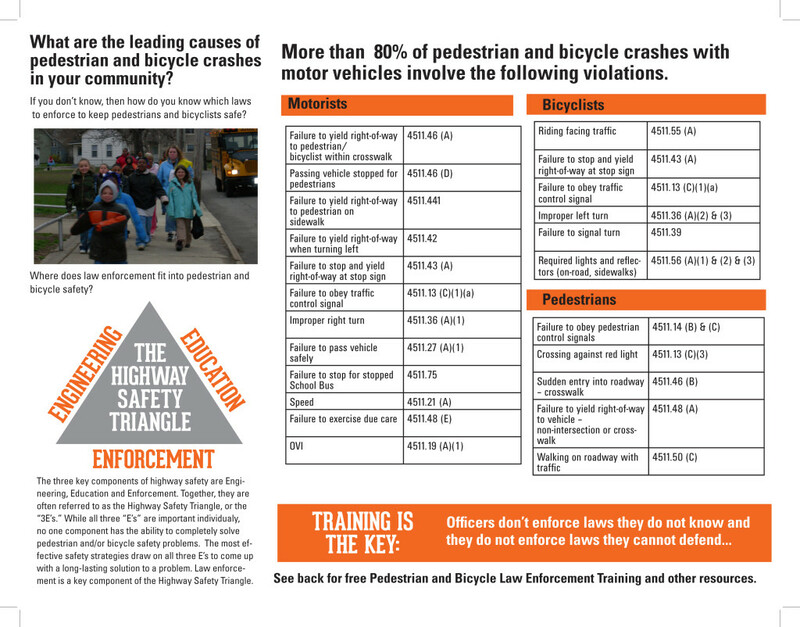 You can download the Pedestrian Safety Enforcement Saves Lives video here for use in your department. 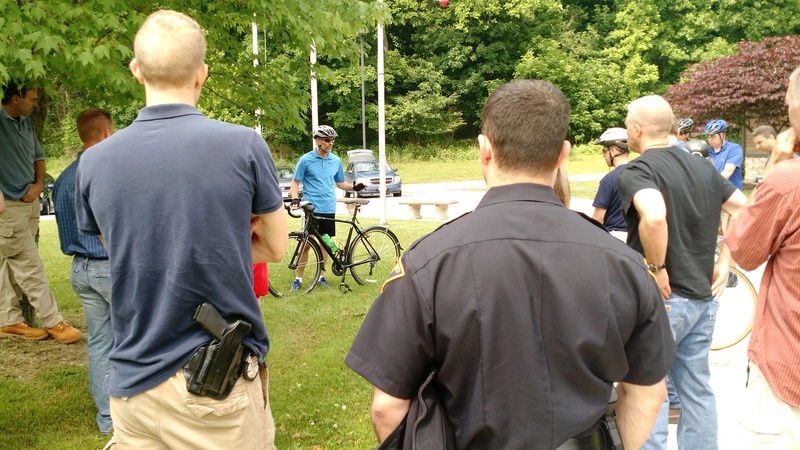 This list of state and national resources for pedestrian and bicycle safety materials can be useful for police officers when making traffic stops, school visits, or interacting with the walking, bicycling and motoring public. All these materials are available online at no cost. 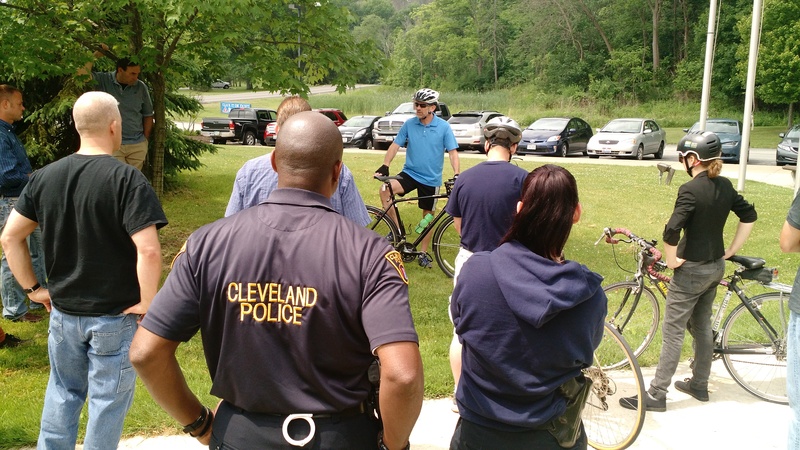 You can download the list here: Pedestrian & Bicycle Safety Resources – Greater Cleveland. 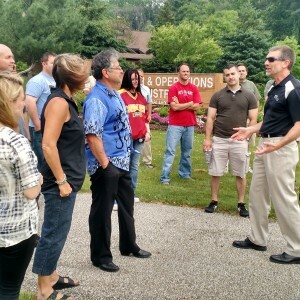 Click to download interactive list of resources.